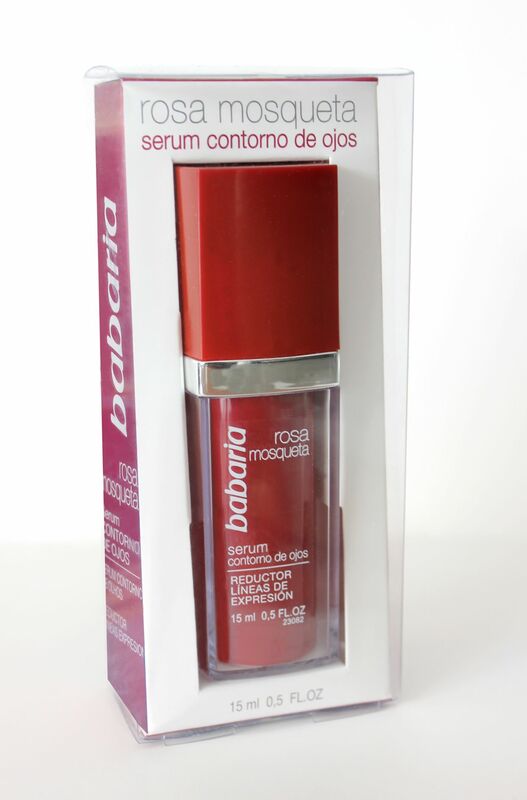 This intensive Rosehip Oil eye line Serum developed by Babaria benefits from innovative technology. This exclusive serum guarantees fast penetration and continuous release of the wrinkle profiling complex at the cutaneous action site. A regenerating active ingredient Acmella Oleracea ensures a tightening effect, resulting in reduced expression lines and wrinkles. An eye line lifting serum, which helps to temporarily gently paralyse the muscles around the eyes giving you the benefit of a botox effect naturally. Minimising the look of wrinkles, and expression lines, helping to fulfill every woman’s wish to keep looking younger for longer. This serum is suitable for all skin types. Aqua, Rosa Moschata Seed Oil (5% Aceite Rosehip Oil), Penthylene Glycol, Aloe Barbadensis, Glycerin, Polyimide-1, Paraffinum Liquidum, Alcohol Denat, Cyclopentasiloxane,Sodium Polyacrylate, Spilanthes Acmella Flower Extract, Dimethiconol, Parfum, Acrylates/ Vinyl Isodecanoate Crosspolymer, BHT, Ascorbyl Palmitate, Triethanolamine.